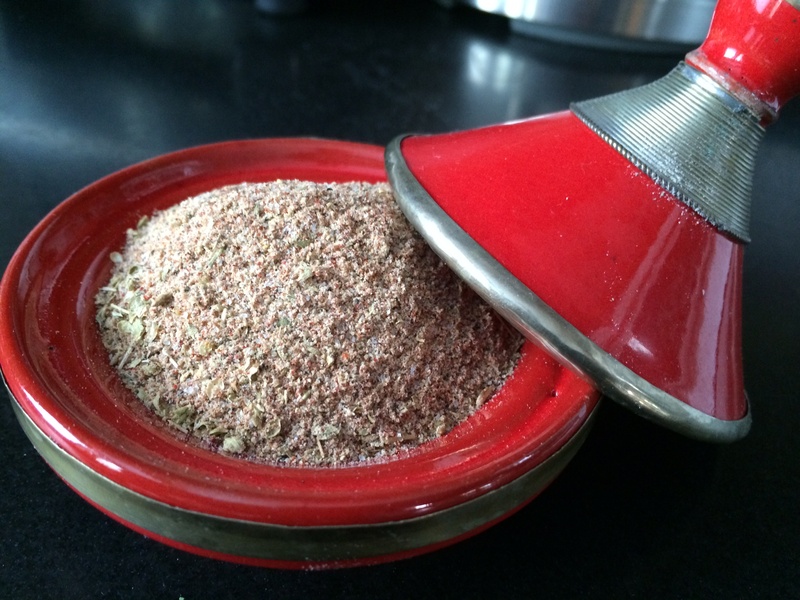 It’s so easy to make taco seasoning at home. So why would you buy the spice factory floor sweepings they use for packaged taco seasoning sold in supermarkets? I’m not a huge fan of Mexican cuisine, but every once in a while, I crave a good taco. My tacos don’t resemble most, but that’s OK. It’s all about making it your own. You can also mix the spices with 1 cup of flour and use it to season chicken before frying…or mix the seasoning with strips of chicken breast or beef for fajitas. My tacos are a bit unusual. Although I use a soft flour tortilla and my seasoned and cooked ground beef, I spread a little Thousand Island dressing and chop some roasted golden beets. But this taco meat goes great with the standard beans, shredded lettuce, guac, and salsa as well. 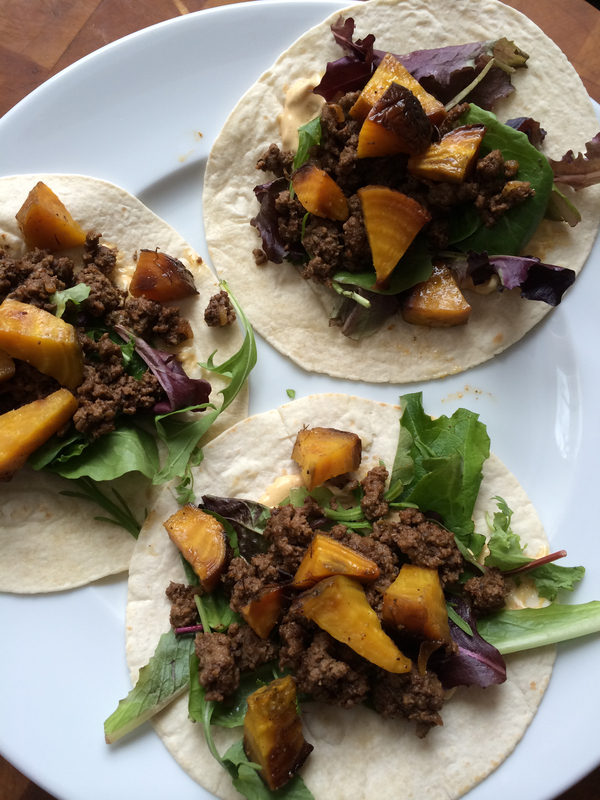 Tacos with roasted golden beets, baby Romaine salad mix, and Thousand Island dressing. For the beets: I wash the beets and quarter them, cutting the top and bottom off but leaving the skin. I place them in a sheet of aluminum foil, and sprinkle with salt, pepper and olive oil. 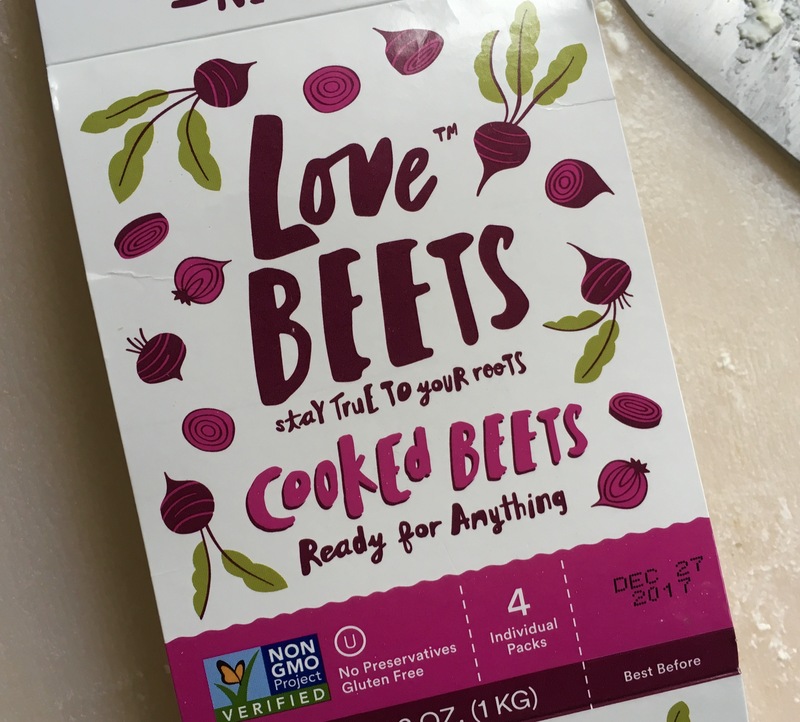 I combine the ingredients to coat the beets, wrap the foil tightly into a package, and roast in a 400-degree oven for 1 hour. After roasting and the beets have cooled a bit, I slice them into smaller pieces for the tacos. Slices of avocado go really well with this, too! It’s so easy to make taco seasoning at home, so why would you buy the spice factory floor sweepings that they use for packaged taco seasoning sold in supermarkets? I’m not a huge fan of Mexican cuisine, but every once in a while, I crave a good taco. My tacos don’t resemble most, but that’s OK. It’s all about making it your own. Beet season is in full swing right now. They’re healthy and delicious…and they also store really well, so you can enjoy them all winter long. 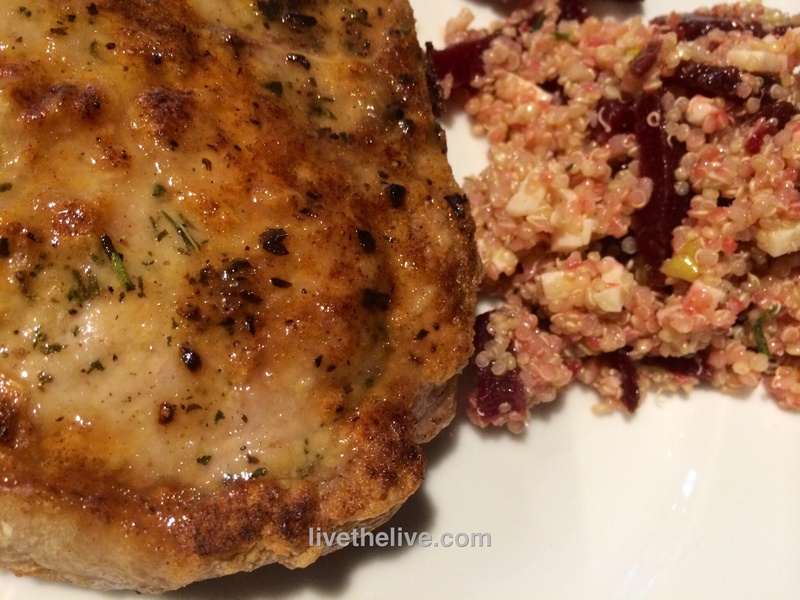 Combining them with quinoa, cheese and arugula makes a great salad that goes well with this pastured heritage pork chop. To keep the meal gluten-free, I used all-purpose gluten-free flour to dust the chop after I dipped it in egg. Then I seasoned it with garlic salt, pepper, and some freshly minced sage and rosemary. I seared it in a hot pan with organic canola oil, then finished cooking it in a 350-degree oven. Prepare quinoa according to package instructions. I like to substitute half of the water with homemade chicken stock. 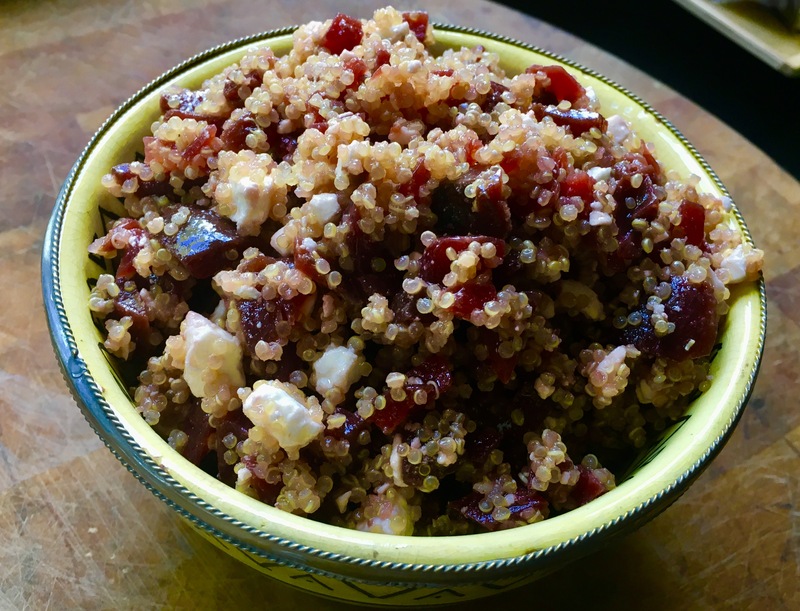 While the quinoa is cooking, combine olive oil, vinegar, sugar, garlic, salt and pepper in a separate bowl. Once the quinoa has cooked, place it in a bowl and add half of the dressing, mixing gently with a fork to fluff up the quinoa. Place in the fridge to cool completely. 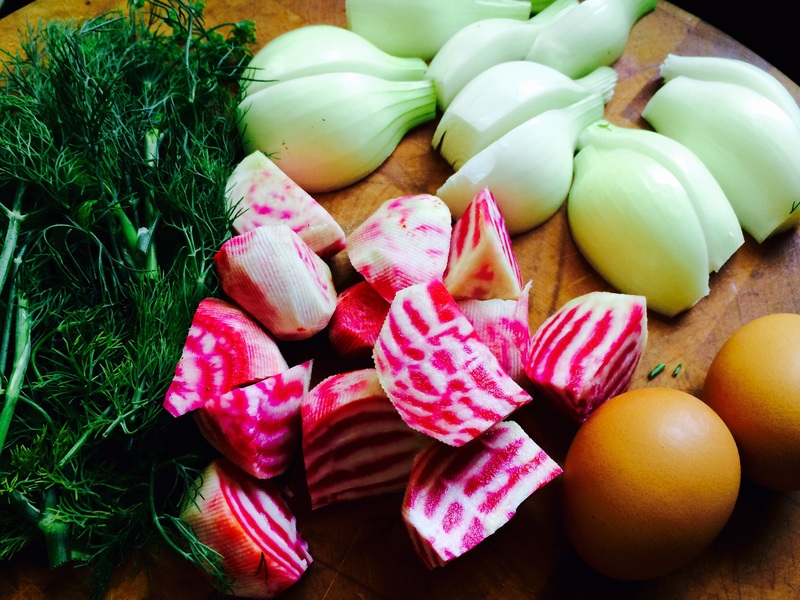 I like to use the product LoveMyBeets, where they come fully cooked and peeled, ready to slice. Slice the beets and place them in the bowl of quinoa. Add the scallions, arugula and cheese. Mix well. When the mixture has cooled down, taste and add more of the dressing if needed. It’s so easy to make taco seasoning at home, so why would you buy the spice factory floor sweepings that they use for packaged taco seasoning sold in supermarkets? I’m not a huge fan of Mexican cuisine, but every once in a while, I crave a good taco. As you’ll see, my tacos don’t resemble most, but that’s OK. It’s all about making it your own. Yes, I put my taco seasoning in a Moroccan tajine pot. But it looks cool, so cut me some slack! Preheat the oven to 450. Wrap the beets in foil and roast for about an hour, until tender. When cool enough, carefully peel and quarter them. 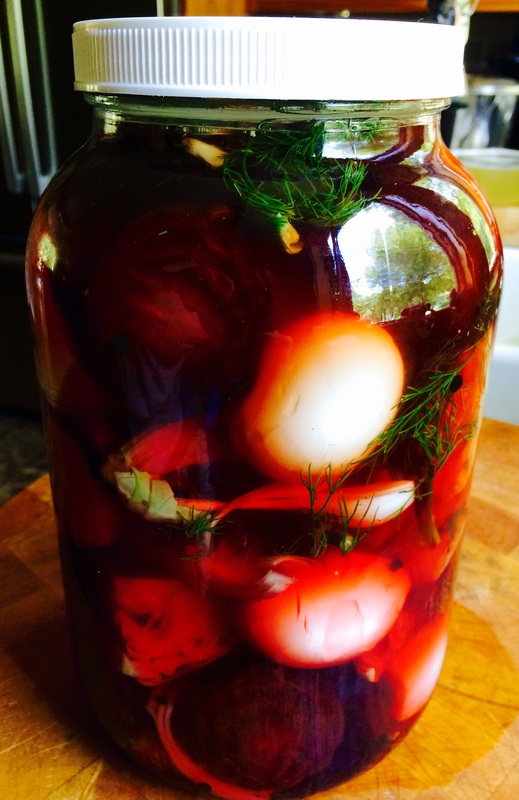 In a heatproof glass jar or container, layer the beets, onion, eggs and dill sprigs and then cover with the pickling liquid. 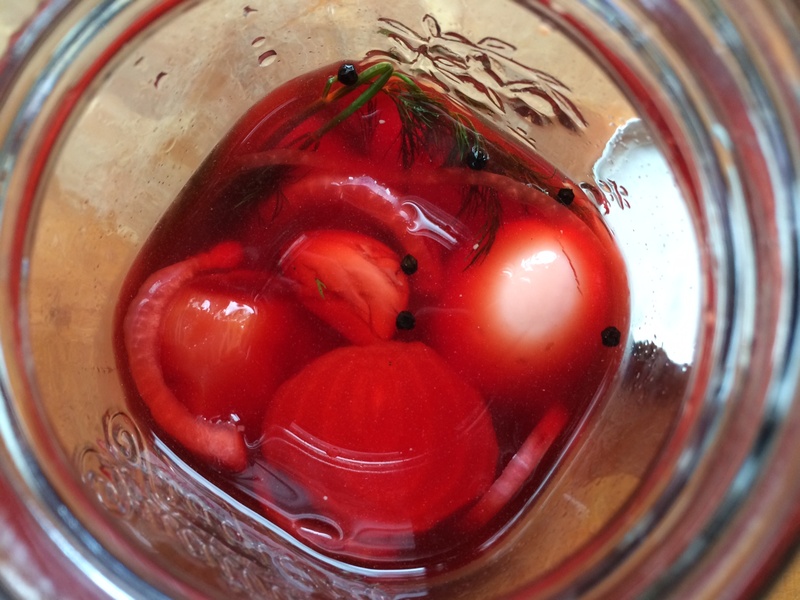 Let stand at room temp for 2 hours, then place in fridge overnight.